Beauty Shop is Monte Vista’s longest standing tradition. 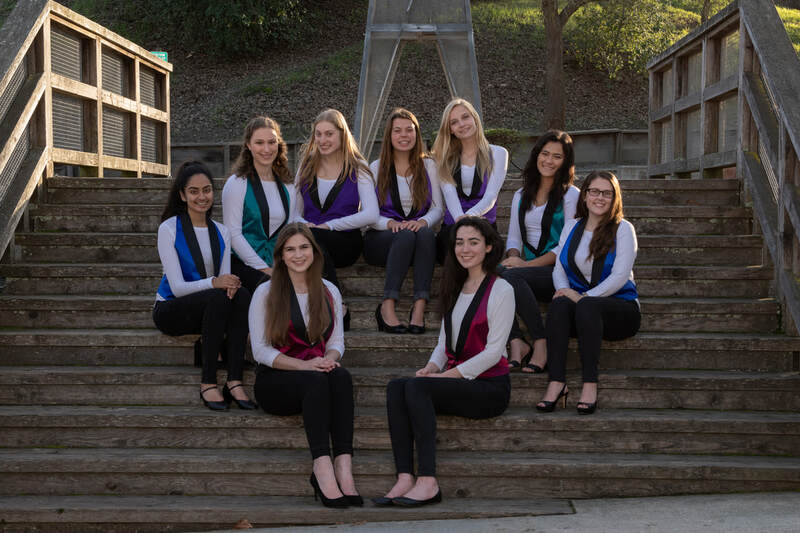 An audition-only, all-girls group, Monte Vista’s Beauty Shop sings a style of unaccompanied vocal music characterized by close four-part harmony. These talented young women perform at each concert throughout the school year and frequently entertain audiences in both large venues and small parties for every occasion. More recently, Monte Vista’s Beauty Shop entertained audiences in France and Italy. Beauty Shop is available for hire for your next holiday party. PIease email mvchoral@gmail.com.